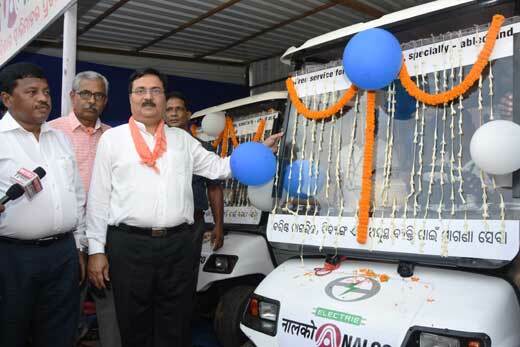 Bhubaneswar: As a responsible corporate citizen and in keeping with the spirit of Rath Yatra Festival, NALCO today launched free eco-friendly Electric Vehicle (EV) service, between Jagannath Temple and Jagannath Ballav Math at Puri. The initiative is yet another step by Navratna Company NALCO to develop Puri under the ‘Swachh Iconic Place’ project. Earlier this year, NALCO had started battery-operated vehicle service in Puri, Bhubaneswar and Cuttack Railways stations. The free EV service, which will benefit Divyang and Senior Citizens, was flagged off by Dr. Tapan Kumar Chand, CMD, NALCO in the presence of Shri Udhav Charan Majhi, Project Director, DRDA. Shri Srikant Tarai, Executive Officer, Puri Municipality and Shri B.K.Thakur, Director (HR), NALCO were also notably present. This free public service will be maintained by NALCO for the next five years. This noble initiative by NALCO will ensure lakhs of pilgrims and tourists to commute between Jagannath Ballav Math and Jagannath Temple smoothly. 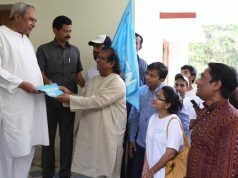 It may be noted that NALCO has received widespread appreciation, especially among the elderly citizens and specially-abled persons, for operating the environment-friendly EV service in various strategic locations in Odisha. 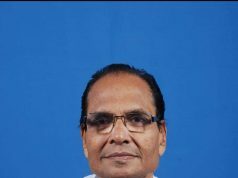 NALCO is carrying out a number of activities, including, development and beautification of Gandhi Park, multi-storeyed car parking at sea beach, building 300 rooms Atithi Niwas at Malati Patpur, renovation of Niladri Vihar museum inside Jagannath Temple, providing access to drinking water at various spots in the city, development of heritage corridor, among other initiatives, under Government of India’s ‘Swachh Iconic Shrine’ project.